The sentiment is echoed by most Chennaiites of an older vintage today. The last of the titans is gone, and there is a deep sense of loss – ask anyone on the street, and the first words that one hears are “it is the end of an era”. Jayaram Venkatesan, founder of Arappor Iyakkam, used these words in a tribute on Facebook. As the city bids goodbye to the man responsible for renaming her Chennai, Citizen Matters Chennai pays tribute to the five time Chief Minister, firebrand leader and a connoisseur of Tamil literature who has left an indelible mark through the various projects that took shape under his watch. The statue of Kannagi on the Beach Road is a famous landmark. 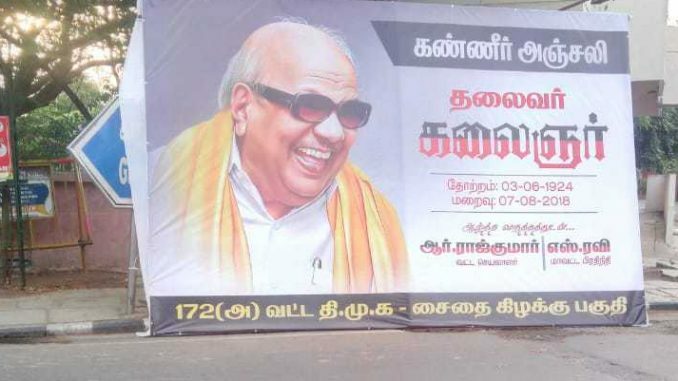 Karunanidhi had immense respect for this powerful character from Silappadhikaram, often called one of the five great epics of Tamil literature. “The DMK government, under the leadership of M Karunanidhi, brought a culture-based architecture to Chennai. 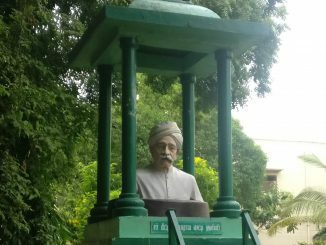 The statues of Kannagi, Thiruvalluvar and Bharathiyar along the coastline of Chennai were established by the DMK patriarch,” said Ramu Manivannan, Political Science professor, University of Madras. 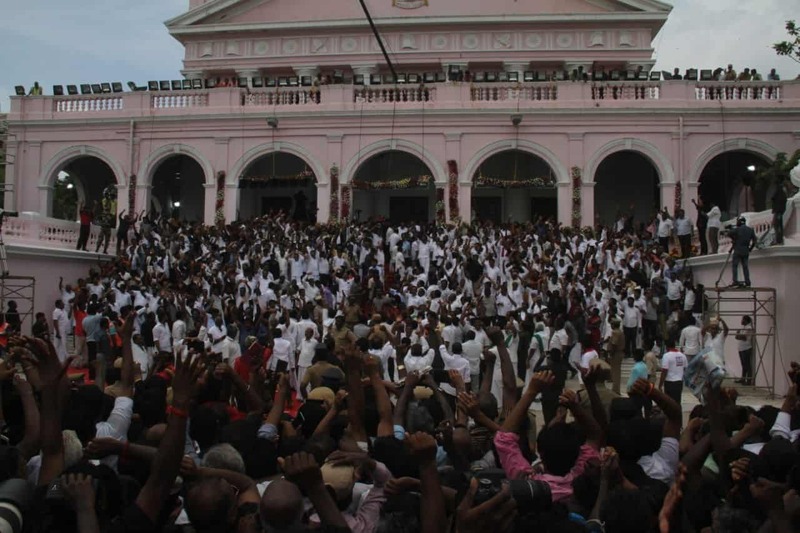 His followers remember him as an intelligent administrator, who was devoted to Tamil culture. “When Sangam literature was rediscovered in the early 20th century, it was Karunanidhi and Anna who brought it to the masses through the contemporary language. Later, he changed the style of public speaking, to the present day style where the preferred lingo is Tamil without any tinges of Sanskrit,” said Arun Kumar, a Ph D student in Tamil in Jawaharlal Nehru University. Arun flew in to Chennai from Delhi on Wednesday morning to pay homage to his beloved leader. Verses of Thirukkural, the 2000 year old book of Tamil poems which is the most translated book in the world after the Bible and the Koran, has reached the households of ordinary Tamilians through Karunanidhi, who was the mastermind behind the construction of the 133-feet Valluvar statue in Kanyakumari and the majestic Valluvar Kottam in Chennai. He also made it mandatory to carve a few lines from the Thirukkural in all government offices. A follower of Ambedkar since his early days, Karunanidhi named India’s first law university established in Chennai, after Ambedkar. Thus the Dr Ambedkar Law University came into existence in 1996, as the first law university in the country. “He was also one of the architects behind the Information Technology (IT) growth in Tamil Nadu, which brought in thousands of jobs to the state. The TIDEL park in Taramani, one of the largest IT parks in Asia, was inaugurated in 2001” said Arjun Nagu, an ardent follower of Karunanidhi. The then-government allocated Rs 1000 crore to the setting up of the IT corridor that has greatly benefitted the city. Lakhs of engineering graduates found employment in the city with multi-national corporations such as Infosys, Accenture and HCL setting up operations in Chennai. The Anna Centenary Library, a state library with a collection of close to 1.2 million books, was established by Karunanidhi in 2010, and named after his political mentor, former Chief Minister C N Annadurai. In later years, he fiercely opposed a proposal by his successor J Jayalalithaa to convert the library into a super speciality hospital. (she dropped the proposal owing to a wave of public protests). The library spans nine floors and is built on eight acres of land in Kotturpuram. It has a special section for Braille books. The state-of-the-art facilities make the space a haven for students and book-lovers of the city. “I am very thankful for the library. I make it a point to visit at least once a week. The collection is fantastic and it is maintained very well for a public library. It is important for people to have access to such wonderful spaces in the city as it helps build a community” said Saritha, a teacher. While there may be some debate over where the credit lies for some of the projects, there is no denying the contribution of Karunanidhi’s vision in ensuring Chennai’s transport infrastructure is on par with other metropolitan cities in the country. The Chennai Mofussil Bus Terminus (CMBT) in Koyambedu, which provides outstation bus services is one of the largest bus terminuses in Asia. The conceptualisation for the terminus rests with the ADMK while the planning and execution of the project took place under the leadership of Karunanidhi’s DMK government. The project was ultimately inaugurated by the ADMK Chief Minister Jayalalithaa in 2002. The Chennai Metro Rail project, the credit for which is once again contested by both parties, was conceptualised in 2007 with the funds secured from the Japanese International Cooperation Agency (JICA) and initial tenders issued during Karunanidhi’s chief ministership until 2011. The project has finally seen fruition after many delays and will hugely aid connectivity in the city. “The multi-level flyover in Kathipara, spanning six lanes, was inaugurated by Karunanidhi in 2008. The area which was constantly plagued by traffic bottlenecks, is much better now, thanks to the construction of the flyover,” recollected Arjun Nagu. The first botanical garden in the city, the Semmozhi Poonga, was conceptualised and inaugurated in 2010 during his tenure as Chief Minister. The 20-acre park offers much needed lung space in a bustling city and serves as a recreational area for the public. Another addition is the Tholkappiar Poonga, also known as Adyar Eco Park, which was established in 2010 with a view to protecting the eco-system of the Adyar estuary and creek. The space is a hotspot for annual migration of birds and the project has served to ensure the protection of their habitat. More than 100 transgenders from across the city made a beeline to Rajaji hall during the wee hours of Wednesday. They are grateful to the Dravidian leader who played an important role in Indian trans history. 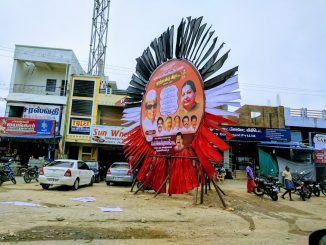 “Based on the recommendations from VCK party leader Ravikumar, Karunanidhi established the welfare board for transgenders, making Tamil Nadu the first India state to do so. 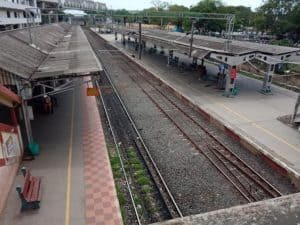 He later changed the name of the board from Aravani to Thirunangai, upon requests that the former is derogatory,” said Grace Banu, a transgender activist. The board which comes under the jurisdiction of Social Welfare Department of Tamil Nadu allows transgenders to apply for proofs including driving license and identity cards. For 11 years, tsunami survivors here had been living in temporary shelters, in sorry conditions. 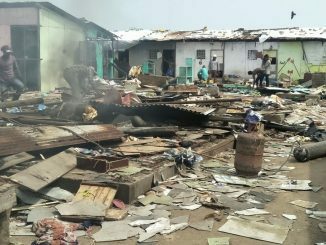 Now even those have been destroyed, supposedly to make way for houses to be built for them. But TNSCB hardly gave them any notice and they have nowhere to go.